Crews have removed a time capsule dating back to 1795. It came from the cornerstone of the Massachusetts Statehouse in Boston. Historians believe it was originally placed by Revolutionary War luminaries. Samuel Adams and Paul Revere were among them. The capsule is believed to contain items such as coins, documents and newspapers. And a metal plate that was owned by Revere. Secretary of the Commonwealth of Massachusetts William Galvin speculated that some of the items could have deteriorated. Official planned to X-ray the capsule. They took it to Boston's Museum of Fine Arts. They want to get some idea of the contents and possibly details on their condition. They plan to open it soon. The capsule originally was made of cowhide. The capsule was believed to have been embedded in the cornerstone when construction on the state Capitol began. That was in 1795. 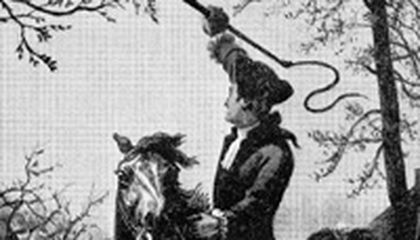 Adams was governor of Massachusetts at the time. The time capsule was removed in the mid-19th century. Its contents were transferred to a copper box, Galvin said. Its latest removal was due to a water filtration project at the building. Galvin said the plan is to return it to the site next year. Pamela Hatchfield is a conservator at the museum. She was exhausted after spending hours chiseling and drilling. She took care not to damage the time capsule. Or the coins that were thrown in the mortar that held it in place. She held up the capsule. 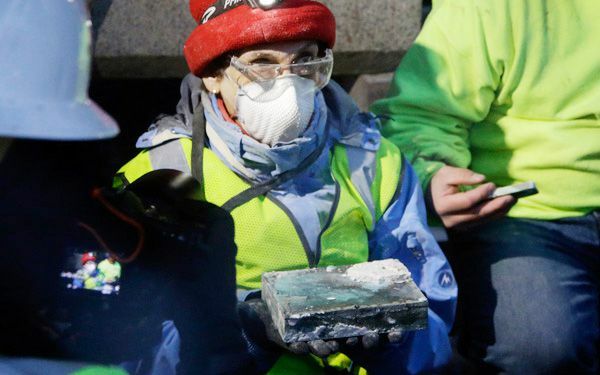 For years, state officials didn't know the time capsule was embedded in the cornerstone. It took 60 years to find out. "It was first put in there in 1795 by Paul Revere and Sam Adams and was unearthed accidentally when in 1855, there were some amendments to the building," Hatchfield said. "They put the contents back into a new box and placed it in a depression in the stone." Galvin said there were notes from 1855. They indicated that officials washed some of the contents with acid before putting them in the new copper box. "We have to see what held up since that time," he said. "That's the biggest question we have right now. Are the contents in good condition or not?" They cant be sure about the condition of the contents of the box because its been there for hundreds of years. Things that live in the ground could of damaged it. I thought that this article was interesting because at the moment we are learning of Sam Adams and Paul revere. What I found intriguing was how do they know it was them who left the time capsule behind? Did it have there name written in ink? Or maybe a coin? I didn't recall reading how they knew it was them. I wouldn't have imagined something being stuck in stone for that long especially since it was uncovered at one point in time. I'm surprised that the time capsule has lasted this long.